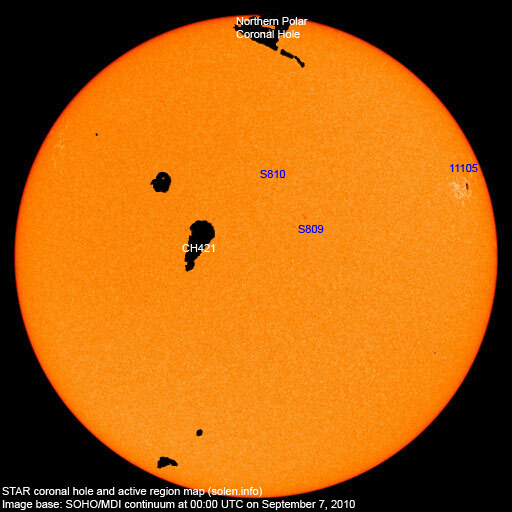 Last major update issued on September 7, 2010 at 04:25 UTC. 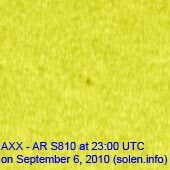 The geomagnetic field was quiet to unsettled on September 6. Solar wind speed ranged between 333 and 395 km/s under the influence of a low speed stream from CH420. 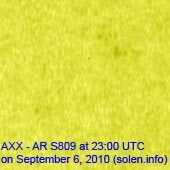 Solar flux measured at 20h UTC on 2.8 GHz was 79.7 (down 3.8 over the last solar rotation). The planetary A index was 8 (STAR Ap - based on the mean of three hour interval ap indices: 7.8). Three hour interval K indices: 23111122 (planetary), 24221212 (Boulder). Region 11105 developed quickly early in the day in the leading spot section, then decayed significantly during the latter half of the day. Further C flares are possible. 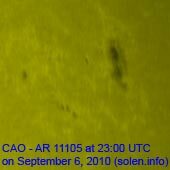 Flare: C2.5 at 14:59 UTC. [S810] A single small spot emerged on September 6. Location at midnight: N24W05. September 4-6: No obviously Earth directed CMEs were seen in LASCO or STEREO images. 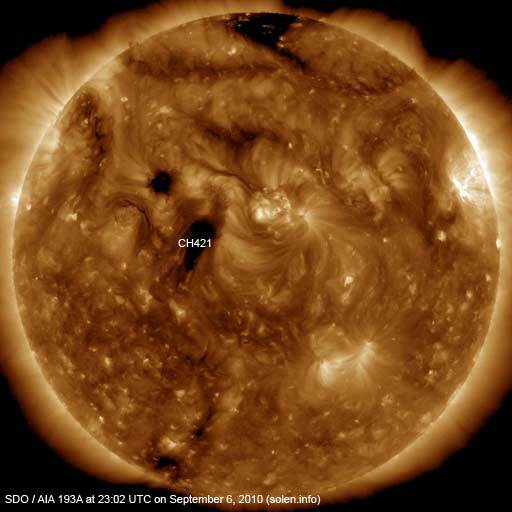 A small recurrent trans equatorial coronal hole (CH421) will be Earth facing on September 7-8. This coronal hole didn't cause a disturbance during the previous rotation. The geomagnetic field is expected to be quiet to unsettled on September 7 due to effects from CH420. Quiet conditions are likely on September 8-10. 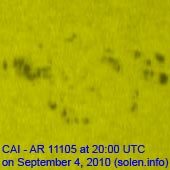 Occasional unsettled intervals are possible on September 11 and 12 if effects from CH421 arrive.